Want to support billings-area local producers? Order your csa sample box today and pick up your purchase at the yellowstone valley food hub pick up party saturday december 1st or order for december 22nd. click here to check out our csa options. Annika Charter-Williams holds her son, Willie, and daughter, Stevie at their ranch in Shepherd, Montana. Annika Charter Williams helps her 4-year-old daughter Stevie pull on a pair of pink and brown cowboy boots. It’s early morning in late-August. 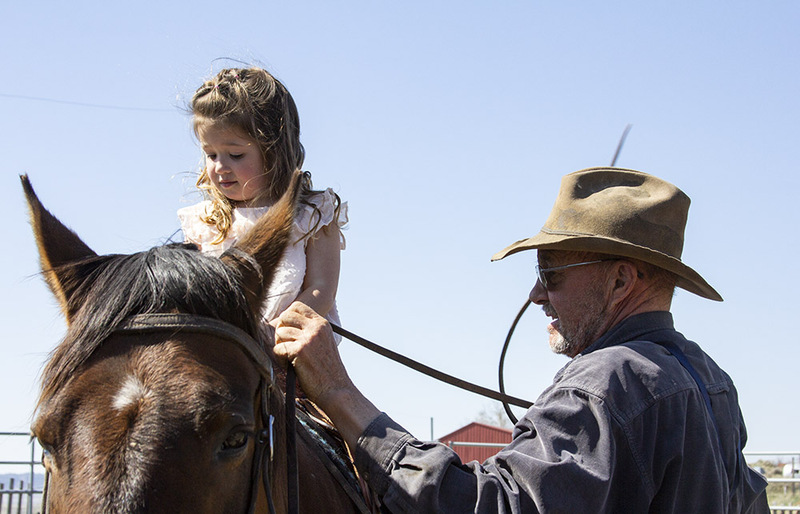 Annika’s father, Steve, rides up to his daughter and granddaughter on a chestnut brown horse. Annika scoops Stevie up, and hands her to Steve. 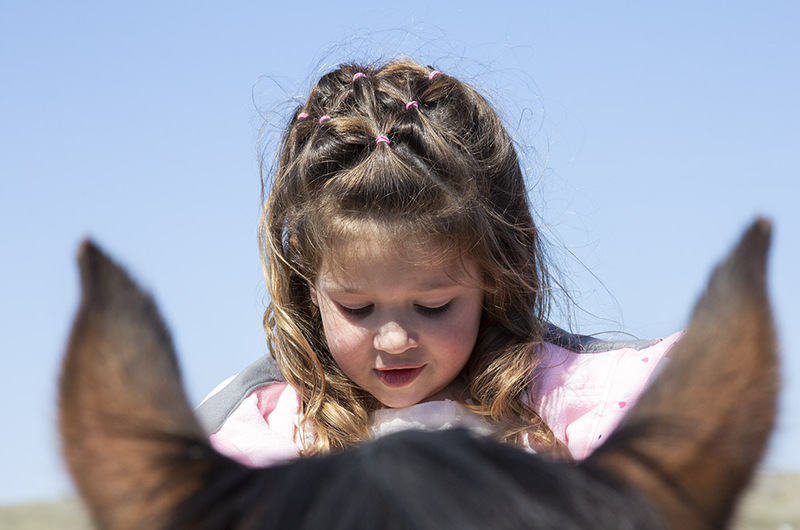 Steve tells Stevie to “hold on tight,” and together, Steve and Stevie gallop across the yard as Annika watches, smiling. The Charter Family has ranched 19 miles north of Billings, Montana, for three generations. They are a cow-calf operation with some unique endeavors — like a healthy soil initiative Steve started to help sequester carbon; a worm farm to help build the soil; and locally minded drive to purchase materials needed at the ranch in Billings. Since the start of the ranch, the Charters have always had a deep appreciation for the land and this way of life. Annika’s grandparents were some of the founding members of Northern Plains Resource Council, a group that organizes Montana citizens to protect water quality, family farms and ranches, and quality of life. Northern Plains helped the Charters protect their ranch from coal strip mines that threatened their operation in the 1970s. Stevie (left) on horseback next to her grandfather Steve. In 2016, when Northern Plains and its local affiliate, the Yellowstone Valley Citizens Council, announced they were launching a Food Hub to link producers with consumers in one place, Annika was elated. The Food Hub is a distribution center that aggregates and sells food from local producers. The Food Hub is also tasked with marketing their products by building relationships throughout the community, starting with restaurants, hospitals, and schools, and then with individuals. Seventy percent of Montana’s food needs were once met by the regional agricultural system around Billings — the Food Hub aims to rebuild that. As a producer and consumer, Annika sees both sides of the food system. She understands the struggle of finding good local food, and the struggle of marketing her own product. “I'm really excited about the Food Hub for the easy access to local food. I want to know what other farmers and ranchers are doing, how they’re growing and producing food and what I’m feeding my kids,” said Annika. Annika opens the gate for her niece Delilah (left), nephew Drake, and daughter Stevie (far right). As a producer, Annika says there is no better feeling than watching people enjoy her beef. “The rewarding aspects of doing what we do is when people get to eat our beef, and they just absolutely love it,” said Annika. By linking producers and consumers, the Food Hub will expand markets for regional producers, keep food dollars in Montana, create jobs in the community, and increase the amount of fresh, local food available in stores, restaurants, and institutions. The Food Hub is set to launch in 2019 once all of the funding needed is reached. The Food Hub has quickly become a beacon for both consumers looking for local food and producers near Billings. The Food Hub’s direct-marketing setup is helpful to any producer regardless of size because they monitor and retail the product, giving producers more time to grow food and tend livestock. Additionally, with direct marketing, producers have more control and say over their product than they do when they sell into conventional markets. The way the markets are set up drives producers to have to straddle this relationship between control of their operation and also making a living. With the Food Hub, the Charters are able to raise their animals the way they want to and get a fair price for their product. This means the Charters can focus on the land and the longevity of their work. Steve Charter (left) leads his grandaughters Delilah and Stevie. Annika is drawn to the openness of the ranch. “We have these amazing wide-open spaces and fresh air, and my kids can free-range,” said Annika. Annika explained it’s a lot of hard work to live and work off of the land, but it’s all worth it in the end. There are moments when being a mother and rancher collide, and these are the moments that make all of the hard work worth it for Annika. 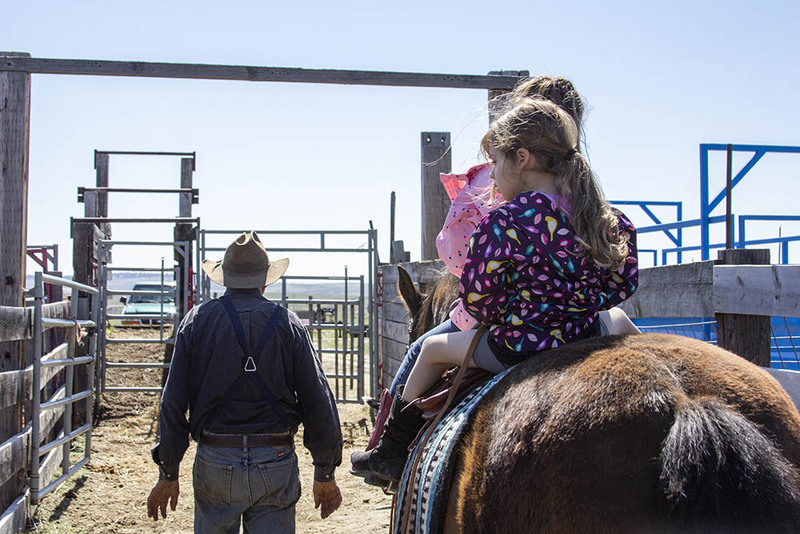 “It's really rewarding to see my little girl help take care of bum calves and learn how to ride a horse with her grandpa,” said Annika. The Charters are passionate about what they do. Their passion is rooted in family and sustainability. It’s evident in all of the hard work they put into their innovative initiatives and work caring for their cattle. The Food Hub encourages producers like Annika and her family to keep doing the good work that they love. Click here to learn more about the Food Hub and find out how you can help make it a reality. Purchase your yellowstone Valley food hub basket here.